I always love bags with flat bottom where I can see all the things inside my bag right away. I used LV Petit Noe NM for the past months but I changed it last February with a Coach Peyton Satchel I bought and I love it coz I don't need to bring a few pouches to segregate my things since it has a few compartments. Here are the things in my bag which I can't leave home without. I love to pair my outfit with cute accessories. I love to switch my accessories. 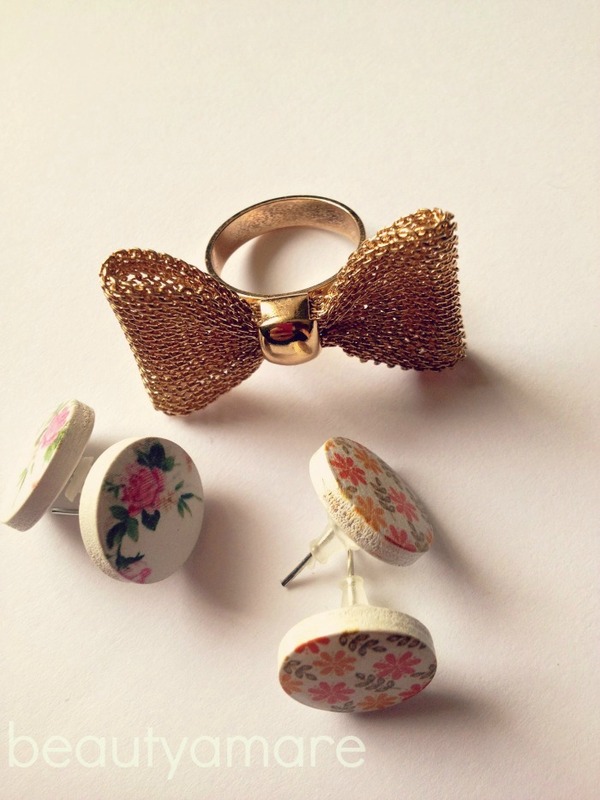 Like if I am wearing bangles and it bothers me, I'll change it with a ring like this cute bow ring I got from F21. 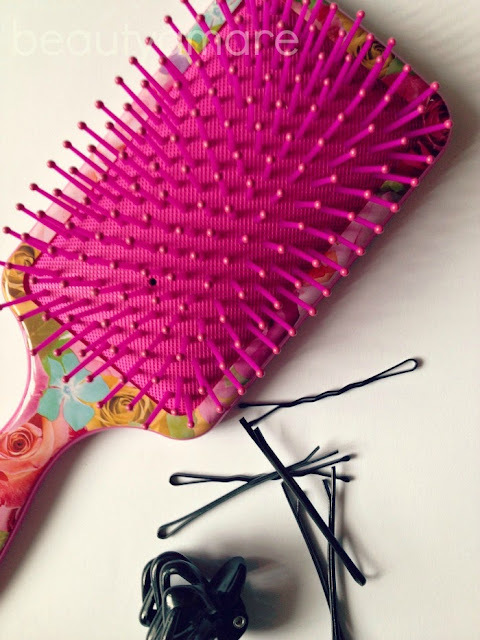 I have this long thick hair so I usually bring a cushion hairbrush, clips, clamps, and hair serum to settle it. I also carry with me a hand sanitizer, hand moisturizer that I got from Watsons in Singapore. The small bottle is my fave scent from Ferragamo which is ATTIMO. I am currently using MAC Paint Pot BARE STUDY as my to go eye shadow base. I want to buy other colors but I find it expensive to collect. 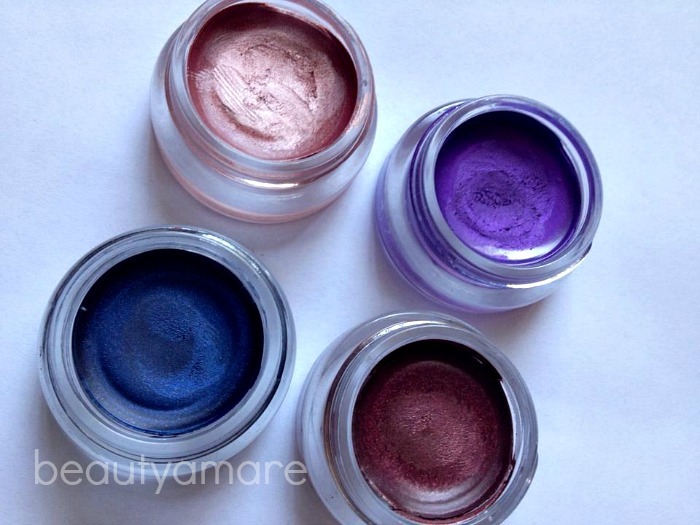 When I hear that Maybelline released a cream gel shadow that creates super-saturated color at much cheaper price, I was thrilled. I went to buy these four colors. I was actually eyeing for the Fierce & Tangy color and Tenacious Teal but these were the only colors left, so I bought all of them. From Upper left: 55 Inked in Pink, 20 Painted Purple, 75 Electric Blue, and 30 Pomegranate Punk.